Roughly 75,000 hectares (290 square miles) of protected South African bushland, the Madikwe Game Reserve is home to lions, elephants, endangered rhinos and the like—and for the Trex® experts of SWA Decking, it has also been a major work site. Their contractors spent the past 14 years building eco-friendly decks for the conservation area’s luxury lodges. Our wood-alternative composite decking proved to be an impeccable choice for the environmentally conscious client. That's because no tree has ever been cut down in the making of Trex products...ever. In fact, the entire high-performance Trex decking portfolio is manufactured using more than 95% recycled content—including our Transcend® collection, which SWA opted to use in their latest project: a 500m2 deck at the Madikwe Hills Private Game Lodge. Transcend decking in vibrant Spiced Rum blends in seamlessly with the lodge’s opulent aesthetics. While the color is ideal, the timeline was not. The team had less than two weeks to overhaul a run-down timber deck and build this sweeping beauty. 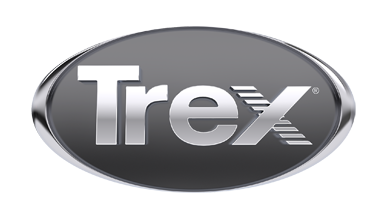 Luckily, Trex is as easy to install as it is to care for. SWA’s dedicated employees quickly pulled together to pull it off. But that doesn’t mean construction came without its challenges. SWA faced unique difficulties working in Big 5 territory, where safari wildlife is free to roam...and conduct site inspections. Among the animal visitors: a resident venomous black mamba snake named Lucy and even a boot-snatching spotted hyena. Today, if any curious animals do get their claws on the finished deck, Transcend’s ultra scratch-resistant proprietary shell will protect its surface. And the harsh African climate? Trex can withstand that, too. Now complete with tables, chairs, swings, umbrellas and sun loungers, the outdoor Madikwe retreat is fully primed for human enjoyment.